Great Run, Awards, Taste of Nature Review and Giveaway ! Today I went out for my first run since I came down with this nasty cold and strep throat last week. The first 4 minutes were terrible but I kept running anyway. Then all of a sudden I got back into a good stride, my posture felt really good and I was able to push my speed a bit – it was great. Sure got me motivated to run more this coming week and I’m starting to feel better so that’s a big bonus. About a month ago, I was nominated for a Fitterati Award (Best Healthy Living Blog) at Fitness Magazine. The contest is ending soon and I could sure use a few more votes! To vote – go to this link here and help a girl out 😉 Thanks. AND….drum roll ……………. last week I received notification that I have been awarded a Leibster Award from Mountainmissy: Living on Mountain Time. I will be blogging about that in a little more detail later this week – stay tuned. Now to the Review and Giveaway! Since my husband is a vegan, we decided to try a few (those that were vegan) and write down our first thought after eating the bar. Sai – Powerful ginger taste. I liked it and would most likely eat it again. Anna – The ginger gave it a nice kick – not too powerful but flavourful. I would totally eat this again. Sai – Nice mix of flavours. Anna – Very berry tasting. Sai – A little dry, basic bar. I would eat it again but not my first choice. Anna – Very peanut-y but not peanut butter tasting. I was thinking it would taste more peanut buttery but glad it didn’t. Sai – Nice mix of taste, perfect for a summer day. Anna – Powerful punch of blueberries – delish! 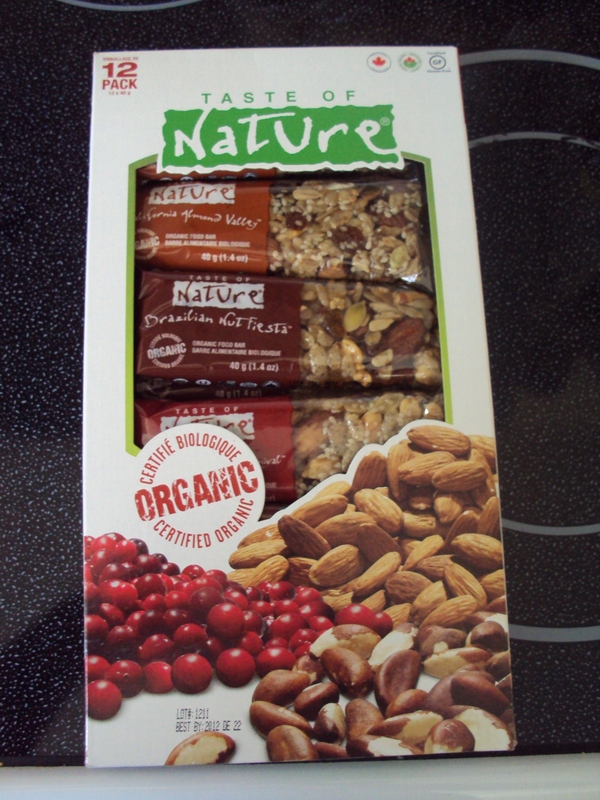 Sai – Taste of Nature bars are great for a quick snack; nice variety of flavours and I like the Persian Pomegranate Garden the best. Anna – I’ve discovered I like the combination of nuts and berries. The Nova Scotia Blueberry Fields was my favourite (yes, I live in Nova Scotia but that has nothing to do with me liking the bar the best). It’s just simply that good! I would love to try the Canadian Maple Forest and Niagara Apple Country bars – but those are two I am giving away. (yeah for you!). I’ve also tried (prior to this review) the Mediterranean Pistachio Passion and the Quebec Cranberry Carnival and managed to find a box at Costco this past weekend! It also includes the Brazilian Nut Fiesta. These are my new go to bar when I need a little something to get me to the next meal or even after a quick workout. 1. Leave a comment about which Taste of Nature bar you would like to try and if you are from Canada or the US? Other entries: (please comment in one response if you’ve done all four (4) or just a few of the below entires). The giveaway is open to those in Canada and US only. Contest runs Sunday April 1st – Thursday April 5th 2012. 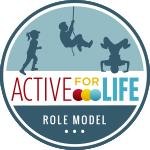 I will post two winners on Friday (Easter Friday and World Physical Activity Day) , please check back to this blog to see if your name is listed as the winner(s). I will then need your email and mailing address to send you the bars. Note: I was not paid by Taste of Nature for this product review. They provided me with a few bars and in return I provided this review. Some pictures are taken from Taste of Nature website. Thanks for your comment and following the blog! I can’t wait to try the Niagara Apple County Bar – sounds delish! Pistachio passion sounds awesome to me!!! The Canadian Maple Forest sounds like it would be really tasty! I’m from Seattle, WA (US) 🙂 Glad you are feeling better. I really want to try the Canadian Maple Forest – but it’s the one that’s going to the Canadian winner – Koala Bear Writer. Thanks – we are so much better and thanks for following the blog. The Canadian Maple Forest sounds yummy. And of course I have to pick it because I’m from Canada! 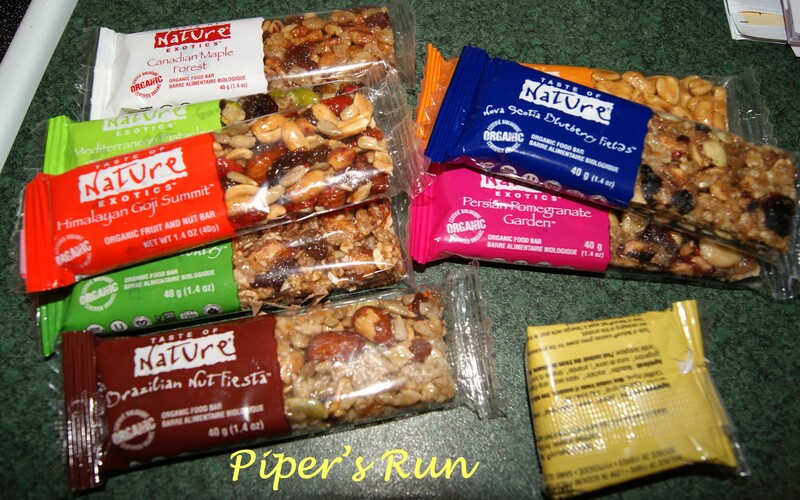 I “Liked” Taste of Nature and Piper’s Run on FB. Thanks for following the blog. Sometimes it’s hard not to pick the Canadian stuff, eh! I love the Taste of Nature is Canadian – woot woot! The Nova Scotia Blueberry sounds awesome! The more blueberries something has the more I love it! I’m from the US! I would first try the Exotics Caribean Ginger Island.. did I get that right? And I am from Canada and so glad to see this product! Would love to try it out. Just re-read your entry guidelines… I follow you on Twitter and FB, and also Nature Review on FB and Twitter, and I signed up to get your blog updates in my email. So happy to have found another Canadian blogger/runner… we visited the Maritimes for 5 weeks in the Fall of 2008 and fell in love with NS and NB and PEI. We live on Vancouver Island. oops, TASTE of NATURE! Typo, sorry. 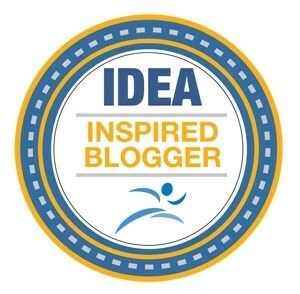 You should check out Run It My Way – she’s another Canadian blogger/runner – she’s listed on my blog roll. Never made it to Vancouver Island before – it’s on my list. Glad you enjoyed the Maritimes – sounds like a good amount of time to explore all over!